Hey folks, this is Jessica. This is another installment of Jess's Take. In the wake of last night's Miss Universe pageant, I decided to compile a list of past pageant blunders that aired on national television. Remember Miss Teen South Carolina Caitlin Upton? Apparently she missed the mark on the question on why one fifth of Americans can't locate the U.S. on a world map. She is one of them, of course. Now she regrets that blunder. During the 2013 Miss USA pageant, Miss Utah Marissa Powell flubs her way through a question about the pay inequality of men and women. She ties this to education and misses the mark. Cringe-worthy! 3. The Wrong Miss Universe? Last night, host Steve Harvey accidentally named Miss Colombia as Miss Universe 2015, however, Miss Phillipines was the actual winner. Needless to say, Steve Harvey got all the attention for a colossal epic fail. 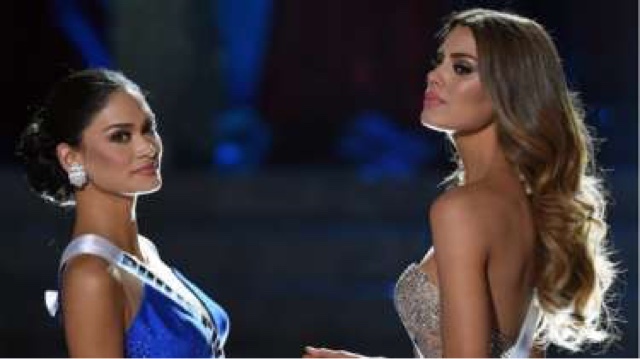 These 3 moments, along with others, are some of the many pageant blunders that have occurred on national television. Needless to say, there are many more that not only have happened in the past but will happen again in the future.